Following completion of the recent “Low skills and smart cities” project funded by British Council/Newton Fund, Robert Rogerson is in the Philippines as keynote speaker at the Research Conference exploring the theme of Forging Partnerships Beyond Borders towards sustainability. 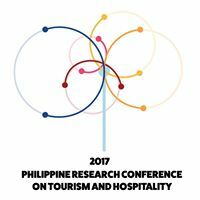 The research conducted in partnership with University of Philippines Diliman considered the future of low skill workforces in the tourism sector in Glasgow and Manila. As part of the visit, he will be meeting with the Under Secretary for Tourism Development and Planning in the Philippines, Hon Benito Bengzon, which provides a great opportunity to foster next stage for inter-disciplinary research. Prof Tom Baum (HRM) will accompany Robert as part of the Strathclyde delegation, and will also deliver a keynote on Thursday. Deputy Director of IFC, Rogerson will deliver is keynote on the following day. In his speech, Robert considered bow collaboration and new partnerships were being forged in cities around the world to ensure that tourism play a key role in place making. Contrasting the recent experiences in the Gold Coast (Australia), Glasgow (Scotland) and Rajarhat (India), he underlined the importance to educating a future generation of tourist graduates to be familiar with place making, and warned against adopting a focus only on destination development. As a conclusion to the visit, the delegation will tour Angono – the ‘art capital of the Philippines’ – to learn about creative cities and tourism.